AS night follows day, scratch beneath every Islamic jihadi surface and a Jew-hater will crawl forth. Similarly, they are anti-western and pro Sharia Law. Be they Mohammedans who plot frontal attacks, or fellow Islamists who lend material support, rest assured, a horde of leftist-fascists are on board to assist – some of them literally! ALAS, it is along this treacherous minefield that ISM/BDS (International Solidarity Movement/Boycott, Divest, Sanction) “peace activists” aid, abet, agitate on behalf of, even lend their bodies in support of PA/Hamas terrorists – whose sole aim is to destroy Israel and replace it with “Palestine.” Don’t ever forget this naked and unvarnished truth, as you watch the late Rachel Corrie – an American ISM human shield – eulogized and heralded as a “martyr” by terrorists, having been less than three degrees separated from their terror activities!! Lesson learned: you lie down with (terror) dogs, you may not wake up. Oops. C’est la vie. ONTO the background of the cast of (terror-supporting) characters – the case, the verdict. On July 6. 2017, I was sued by ISM leader Paul Larudee (of Gaza Flotilla fame) and one of Paul’s acolytes, Jane Stillwater. I managed to get undercover videos of the Board of Directors of Norcal ISM and BDS in California exposing their lawbreaking and how plots were developed to destroy the Jewish state. The videos and reports can be seen here and here. 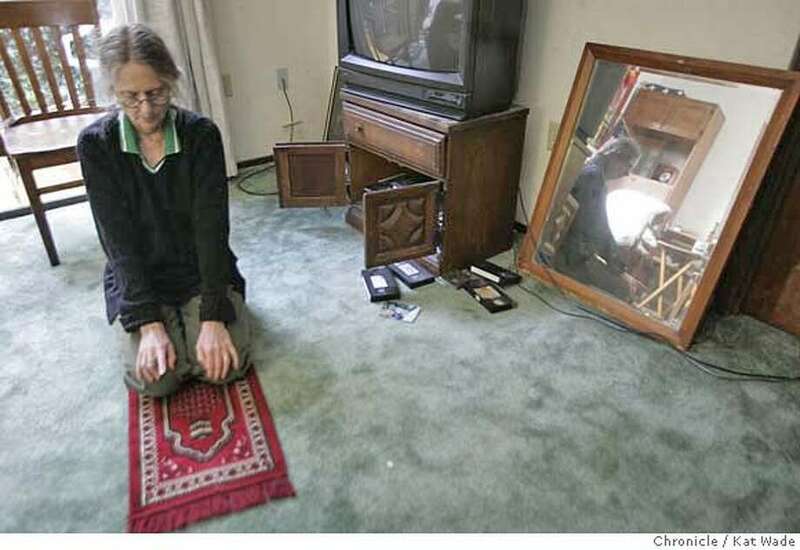 Jane Stillwater, a seventy-five-year-old grandmother, lives in Section 8 housing in Berkeley, California and is a member of Larudee’s malevolent ISM/BDS group. She claims she is a lawyer (not) and a “war correspondent” (not really) and runs Jane Stillwater’s Weblog where she posts articles that run at various anti-Semitic and anti-Israel websites such as Counterpunch and Electronic Intifada. Jane writes constantly she is not anti-Semitic, then blathers on incessantly about Jewish conspiracies to control the U.S. government – notably, AIPAC – or how Israelis behave like Nazis. Her residing in Section 8 housing is of interest because Jane wrote an article on her weblog about her solution to the home foreclosure crisis in the U.S. a few years ago. She wrote that the way to do this was for people to just claim they are Jewish and then the U.S. government would pay for them to have free subsidized housing in a modern state-of-the-art condo in Judea or Samaria. “You don’t even have to be Jewish,” she explained, “Just say you are Jewish and you are in.” This particular article got Stillwater banned from the notoriously anti-Israel leftist website Daily Kos for its blatant anti-Semitism. Both these sweethearts recently went to Syria in solidarity with the butcher of his own people, Bashir Assad. Jane Stillwater posted on her weblog that ISIS is actually a concoction of the United States, Israel and the CIA. She’s a maven on Jewish and American conspiracies for the tinfoil hat audiences comprised of various anarchist movements that want to overthrow the West. Stillwater is a publicity hound. Even though she allows the U.S. and Berkeley taxpayers to subsidize her home – then manages to travel the world as a phony journalist and “war correspondent” – she somehow is a world traveler like Larudee. Her publishers consist of pseudo news sites that are little more than anarchist, radical leftist and anti-Israel organs. Her latest trip is to Myanmar for this poor impoverished woman who needs subsidized housing. She even visited Syria in support of Bashir Assad who she thinks is really a great guy deserving her support and getting a bum rap from the West. After all, she explains to us, ISIS and Al Qaeda are really concoctions of the U.S.A. and the CIA (and Israel too, don’t forget). Stillwater, akin to all media hounds, always makes herself the story. She announces ad nauseum that she was a war correspondent having been twice embedded with U.S. troops in the Middle East. She didn’t embed with the troops in any really hot zones, but was kept safely behind the lines where U.S. soldiers had the added burden to protect her geriatric behind. She applied for a third embed over in Iraq, but this time a more mature officer saw what and who she really is and canceled her embed. She received her notice of cancellation, but instead of seeking a refund on her ticket or an exchange, she flew to Kuwait anyway to force the issue on the military. Along the way, the airline lost her luggage (lucky for U.S. troops! ), so she claimed she had to live at Starbucks ingesting fourteen mocha lattes as she waited to hear if the U.S. military would relent (they didn’t). She then flew home at U.S. Taxpayer expense, when the U.S. Embassy in Kuwait made arrangements to get her home. Once back in the U.S.A., she filed a small claims lawsuit against the Department of Defense for $7,500, the maximum allowed in small claims court to reimburse her for the plane ticket she should not have used and for those fourteen mocha lattes. She boasts about how the D.O.D. had to spend thousands of dollars on government lawyers to answer her complaint when they legitimately refused to pay her for her self-imposed “expenses.” The D.O. D got the case moved to a superior court, but some fuzzy-minded judge remanded it back to Berkeley small claims. She also posted on Facebook a photo of PFLP terrorist Leila Khaled with an AK-47 directing her followers to donate money for a film to glorify the “freedom fighter” who invented aircraft hijackings. Still another photo showed Marwan Barghouti and declaring “Victory!” on her Facebook page for the phony hunger strikers in Israeli jails. Stillwater has trouble with numbers. In her Facebook page next to Barghouti’s smiling puss, she wrote of the 1,600 Palestinian “political prisoners” who were part of the strike. 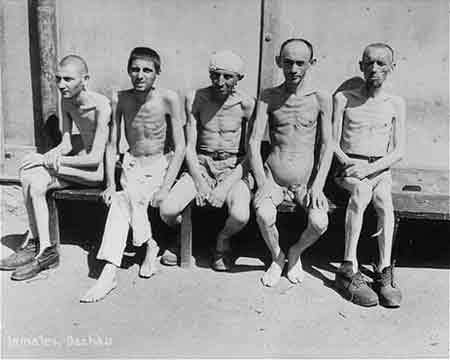 Of course, these were convicted murderers of Israelis, not just Jews, but Jane explained how every last one of them – all given fair trials with lawyers of their choosing – was in prison solely for “political “ reasons. Being an experienced “war correspondent”, Stillwater also entered a post bemoaning the 1,600 civilians killed by the IDF in the 2014 Gaza War. According to her, every casualty reported by Hamas was a civilian “murdered” by the IDF, not a single armed combatant or terrorist attacking the IDF. I’d never seen, nor wrote about this woman even once before my latest article broke. Ultimately, I learned she was photographed briefly in the background of an undercover scene of Paul Larudee spilling the beans on ISM and BDS activities. She was still unidentified and said nothing, she might as well have been a piece of furniture. But now she was going to make attention for herself and her fellow ISM BDS activists. In her complaint, she claimed she had received death threats (none attributable to me), she also accused me of murdering ISM activists who were actually killed by their own Arab handlers, and she went on to claim she lived in daily fear of me due to never occurring “unrelenting threats” that could only be cured by giving her $7,500. Stillwater tells us she’s also an “actress” having appeared in many unpaid student films. As she whined to the judge she was afraid of me, it was clear she needed more training. The case filing was seen on the Web by a Judge Judy produced court television show, Hot Bench, that offered to televise it and pay the actual claims as an arbitration. Of course, Jane Stillwater jumped at the chance to be on TV! But as the shoot date approached, she got cold feet, canceling the production four times over three months. I got Paul Larudee deported from Israel back in 2006 when he went there to meet with Hamas. Once deported, Larudee went to Lebanon to assist Hezbollah there during the 2006 war. Now back in the San Francisco Bay Area, Larudee was leading Norcal-ISM and promoting BDS against Israel. Jane Stillwater must have felt Larudee would be more of a match against me in court. She’d add him as a plaintiff then remove him, then add him, then remove him only to have him show up and claim he was a plaintiff during the actual trial that took place on July 6th because Jane Stillwater no longer wanted to do the show on television. So little Jane Stillwater, renowned war correspondent, pseudo attorney and journalist and terrible actress, a slayer of the U.S. Department of Defense was now facing the big bad “Israel-firster” investigative journalist Lee Kaplan in court and would even make him pay money! She even asked the judge to tell me to “cease and desist” my reporting on the ISM and BDS. What this case revealed was the thought processes of those in the ISM and BDS Movements. Where the Big Lies against Israel and the Jews may play well in the lazy mainstream Press, or at endless bash Israel conferences, in a court of law those same lies did her in. Laughably, when asked why she should get $7,500, Stillwater explained to the judge that one of my articles had shown Norcal ISM/BDS was breaking the law by not having a permit nor meeting health code standards to sell Pure Extra-Virgin Olive Oil to the public to raise money for their beloved Palestinians in Hamas. She explained that the California Health Department, when inspecting the facility, found rat feces in their kitchen that had to be closed down, along with several other changes made to upgrade to the national and state health codes that cost them upwards of $10,000. She wanted an even greater sum to cover these expenses from me, and she wanted to amend any award on the spot. “The health inspector told us if Lee Kaplan hadn’t alerted them to the violations, we probably could have just kept going on with what we were doing and nobody would be the wiser,” she explained, hoping to get a bigger payday. In other words, Norcal ISM/BDS was violating the law and exposing the public to health risks and because I tipped off the government agencies with my articles I should have to reimburse them their expenses. I’m sure that to the mindset of these people who report and write that Israel is an apartheid state when it isn’t, and that Israel is committing genocide against the Arabs, that terrorists are “political prisoners” and ISIS is from the USA and Israel, their plea to the judge made perfectly good sense. Stillwater, the pseudo-lawyer even cited state law that when read properly completely back up all my reporting. The judge didn’t buy Stillwater’s and Larudee’s claims and she awarded them absolutely nothing. Nada. Bupkis. What struck me as interesting was the judge saying at the start of the case, “I’ve never heard of this International Solidarity Movement before”. Now she has, and it should be a lesson to all those who care about Israel to teach as many people about what makes up the ISM and BDS movement in any way possible. There are other Jane Stillwaters and Paul Larudees all over the U.S. and even inside Israel, so It should be incumbent on all of us to expose them for the liars and terrorist enablers they truly are through the Press and, if necessary, in court. MOST significantly, whether the accomplices to jihadi terror are Larudee, Stillwater or countless others across the western world, the underlying basis is the same: Jew-hatred. Anti-western values. 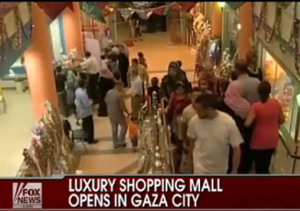 Their end goal: dead Jews – and all others who dare to support Israel too. Sach ha’kol, at the end of it all, if anyone still has doubts as to the likes of who the ISM/BDS terror supporters aid and abet, look no further than to the heroic tale of Aynaz Anni Cyrus, an Iranian – a real freedom fighter – who escaped from the clutches of the Islamic Republic of Iran, and, thankfully, lived to tell the tale! EVEN so, as is said, a picture is worth a thousand words. Demonstrably, Larudee’s pic (with a medal hanging from his neck – gifted from Hamas, in gratitude for this and that as depicted below, seated second from the left) is worth many thousands!! 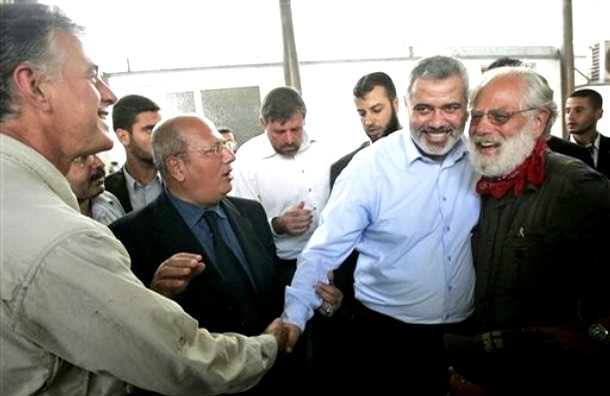 Yes, he was an honorary guest of….guess who….Hamas’s terror leader, Ismail Haniyeh! THIS site’s verdict: guilty, as charged – Larudee and Stillwater, et al. Case closed. This entry was posted in Uncategorized and tagged "lawfare", BDS in California, Gaza Flotilla, Jane Stillwater, Lee Kaplan, Norcal ISM, Paul Larudee, StoptheISM.com by Adina Kutnicki. Bookmark the permalink.